How do I rent a home? What are the rules? Finding a home is an exciting time for new residents of Calgary. If you plan to rent as a tenant, you are entitled to certain rights under the Residential Tenancies Act (RTA). Ensure an inspection report is completed (see below for more details). The landlord of your new home will draft an agreement (lease) for you to sign. Make sure you read the full agreement before you sign. Be sure to include the names of all people who will be living in the rental home. Also, get your own copy of the lease after it has been signed by both you and the landlord. Your landlord will probably ask you for a security deposit. Landlords ask for this so they can cover the cost for any damage done to the property by the tenants. The RTA states that the security deposit cannot be higher than the value of the first month’s rent. For example, if your first month’s rent is $1,400, the landlord is not allowed to request a security deposit of $1,500. An inspection report is an important document that can protect you as a tenant. It is a document that is created when you complete a “walk-through” with your landlord. This report gives a description of the condition of your rental home before you move in. For example, if the door to the bathroom has a large scratch on it, you want to make sure the inspection report documents the scratch. If it is not documented, your landlord could forget it was there already when you moved in and ask you to pay for the damages. Some tenants and landlords will take pictures of damages and attach them to the inspection report. Are with the landlord when the inspection takes place. Walk through every room in the home, as well as the exterior and garage (if you have one). Document any damaged not-working parts of the home that you see. Tell the landlord to add any damages to the inspection report that you have concerns about. Get a copy of the report so you can prove what damages were there at the time you moved in in case you are ever questioned on damages. Your landlord is responsible for keeping your home safe and in working order. Your landlord has the right to increase your rent after one year of the start of your lease. Rent can increase as much as the landlord sees fit. Landlords have to give written notice of rental increases. A landlord can enter your rental home if they have requested your permission in writing and given you 24 hours notice. If your rental home needs a repair, call your landlord to request they fix it. If the landlord does not repair items that could impact your health or safety, the tenant can take their landlord to court. As a tenant, you are responsible for keeping the home clean and preventing damage. You must also pay your rent on time and follow the agreed upon items in your lease. Consider buying rental insurance, which will pay for any damages to your valuable belongings while you live in the rental property. Rental insurance will cover the cost of anything from the theft of your TV to damages made to your furniture due to flooding or fire. It would also protect you in the event of a disaster like a fire by covering the cost of housing while your rental home is being fixed. Landlords are not allowed to enter your rental home without your permission unless they think there is an emergency or that you have left the property. The tenant breaks the lease agreement. For example, if the tenant has not paid rent on time the landlord could give the tenant 14 days notice (in writing) to end tenancy. Someone is living in the rental property who was not listed in the lease. The tenant is physically or verbally violent to their landlord or another tenant. In this case the landlord can request they move out within 24-hours. 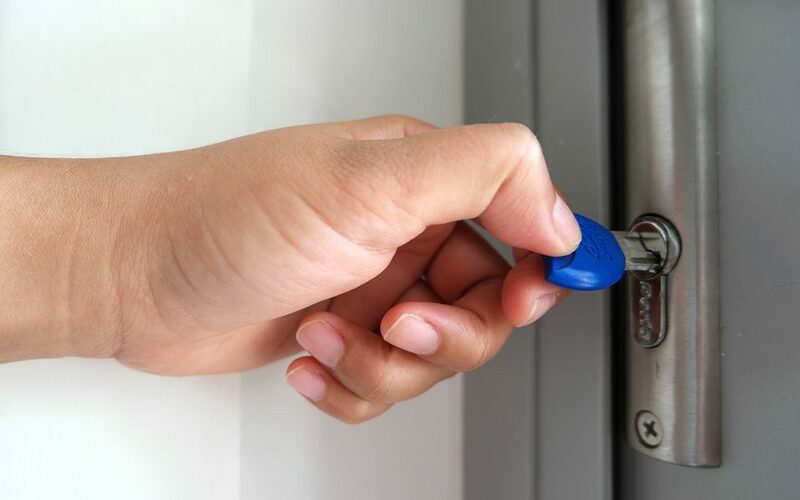 Your landlord will be entitled to use the security deposit to pay for damages found. If the damages cost less than your security deposit, your landlord must return the remainder of the money to you. If there are no damages, congratulations, you get your security deposit back!